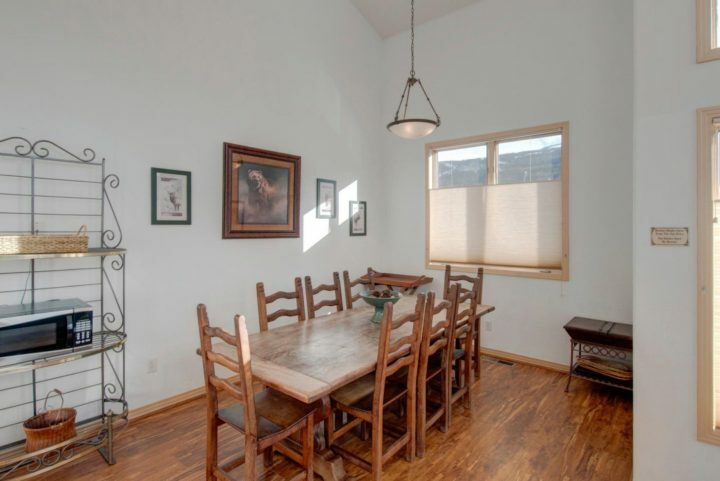 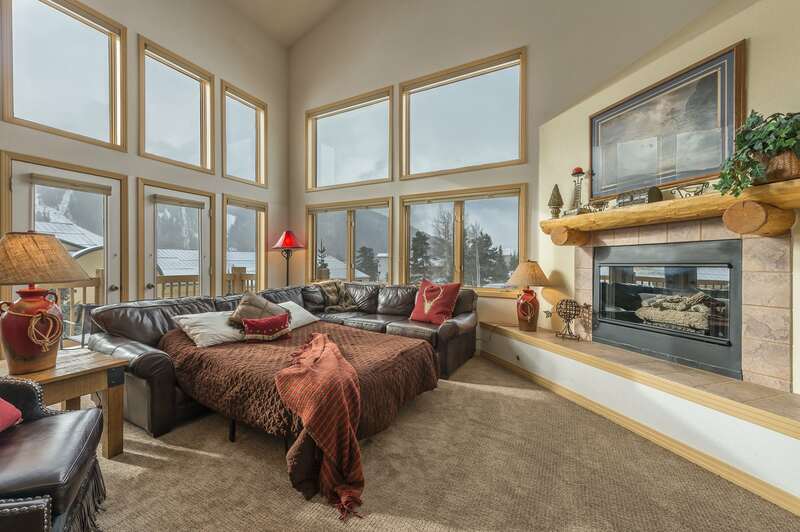 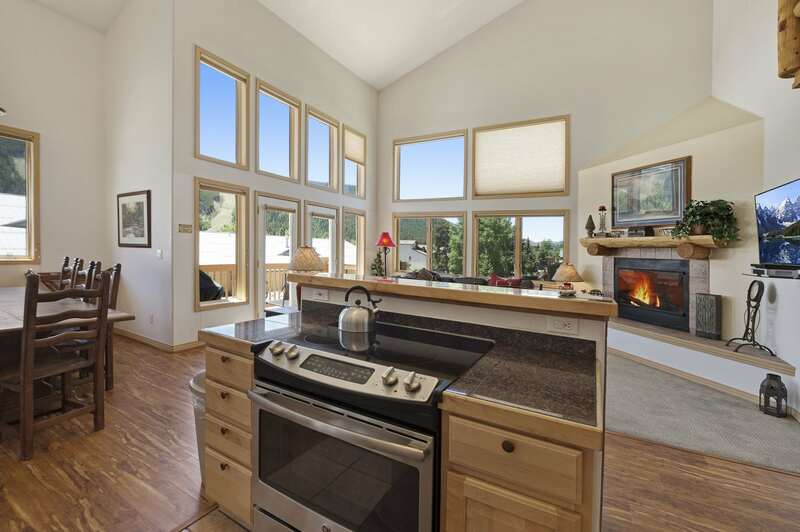 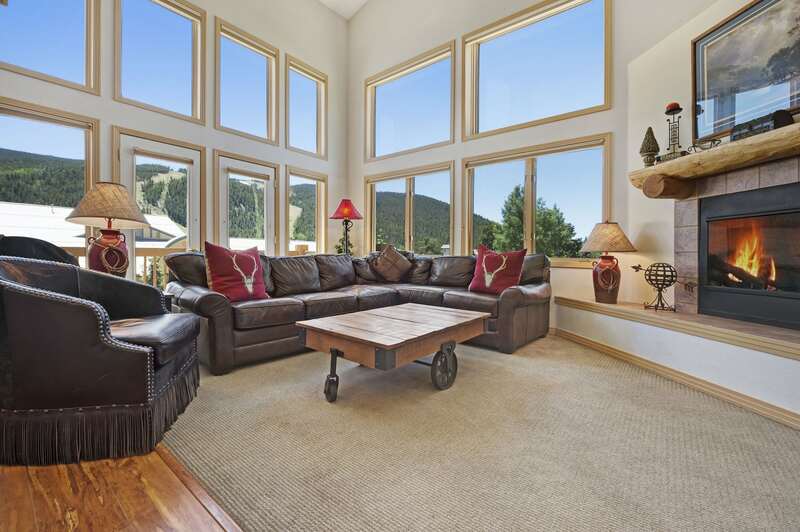 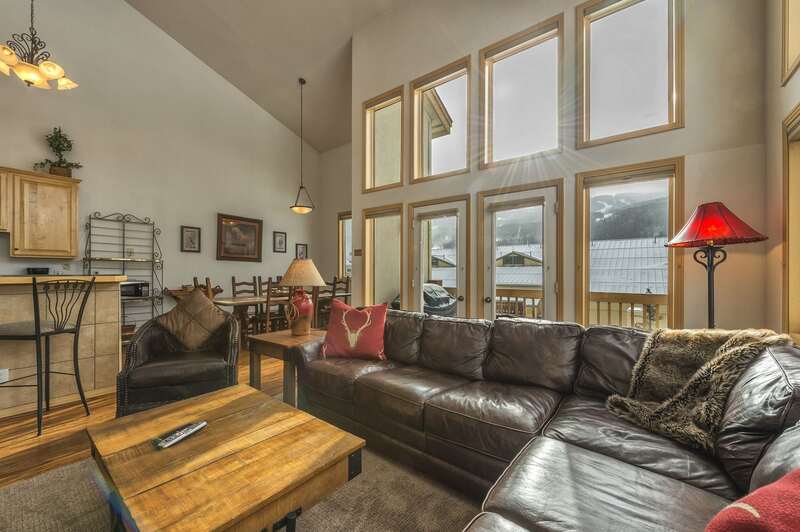 Living room with 2-story windows (mile-wide view of top half of the ski runs). 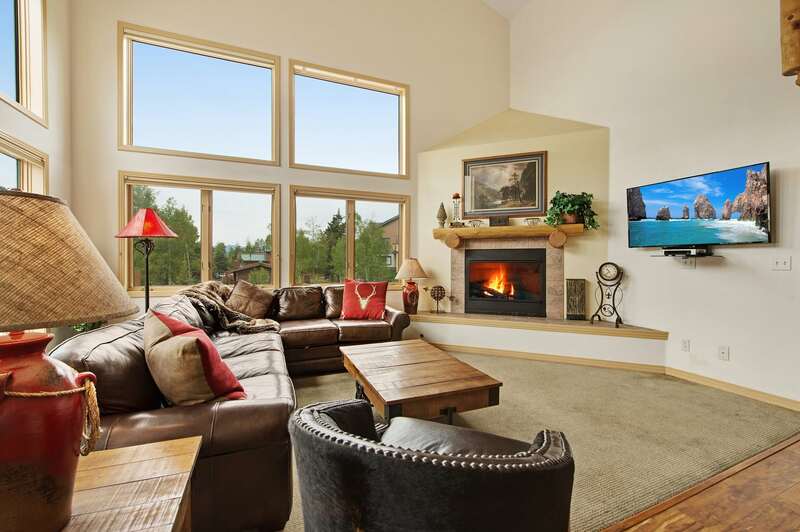 Living room with fireplace, Queen fold out, flat screen TV, & private deck. 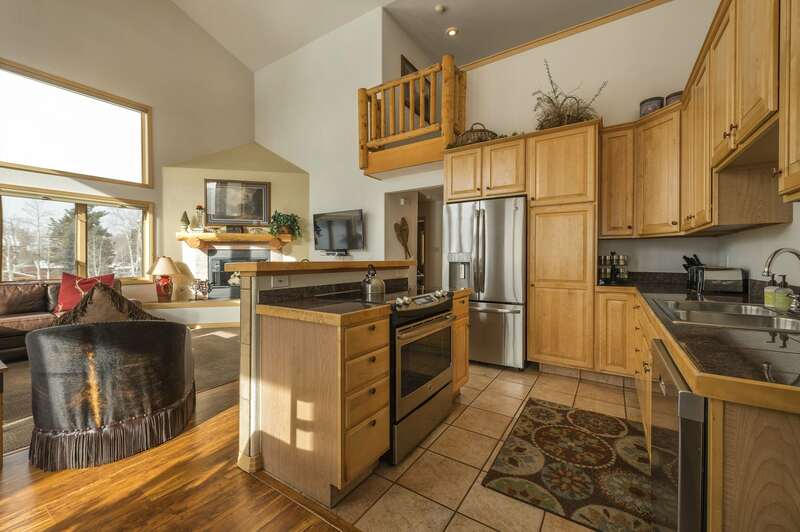 Shot looking east toward door to private deck. 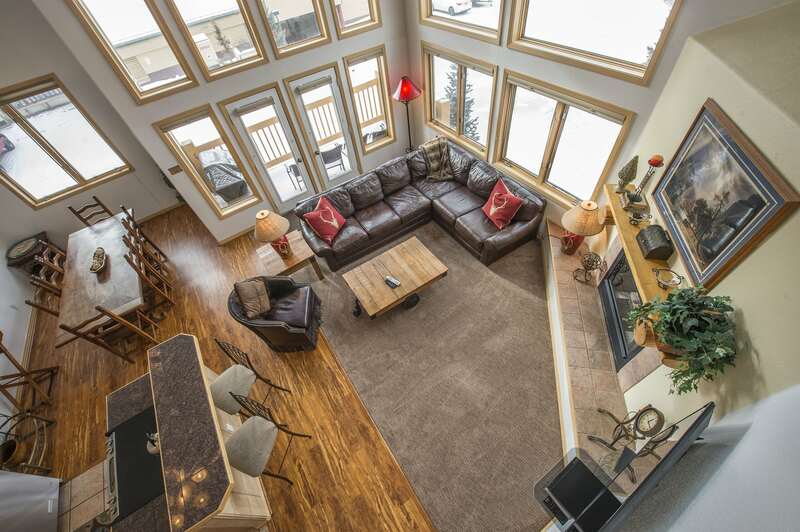 Living Room goes 2.5 stories high. 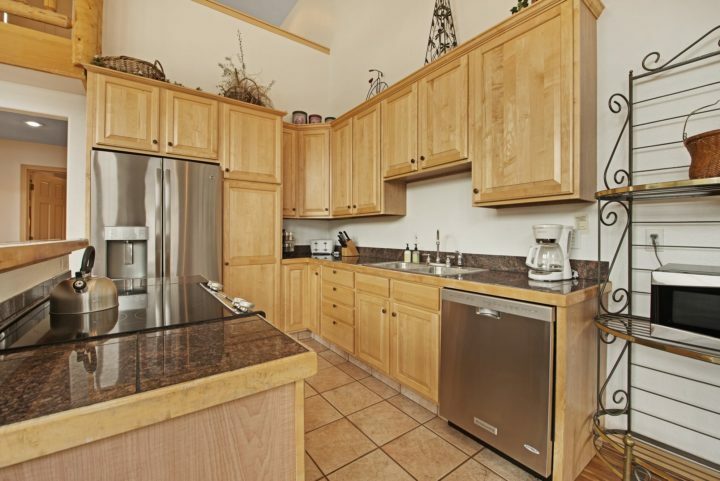 Updated kitchen with stainless steel appliances, pots, pans, & cooking utensils. 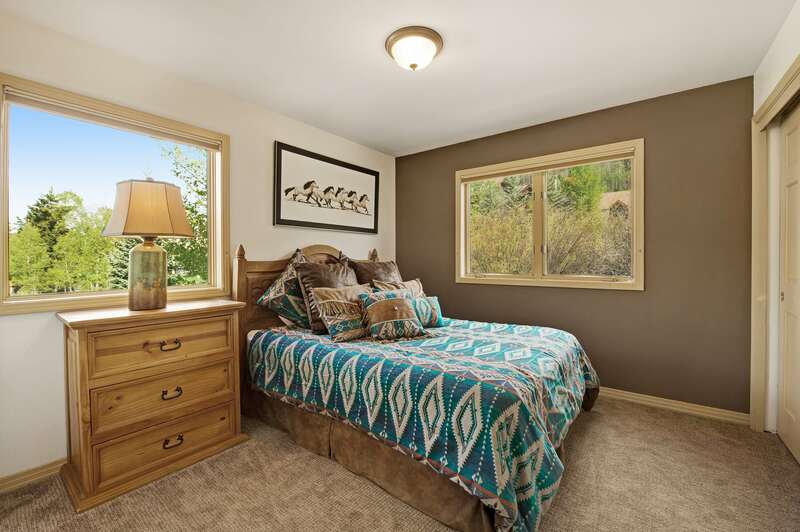 Bedroom 2--All windows have honeycomb privacy blinds. Bedroom 3 (Queen bed). 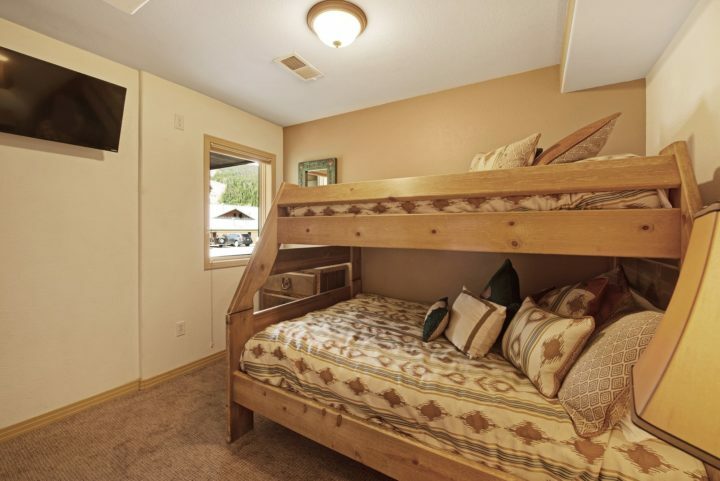 Door to patio. 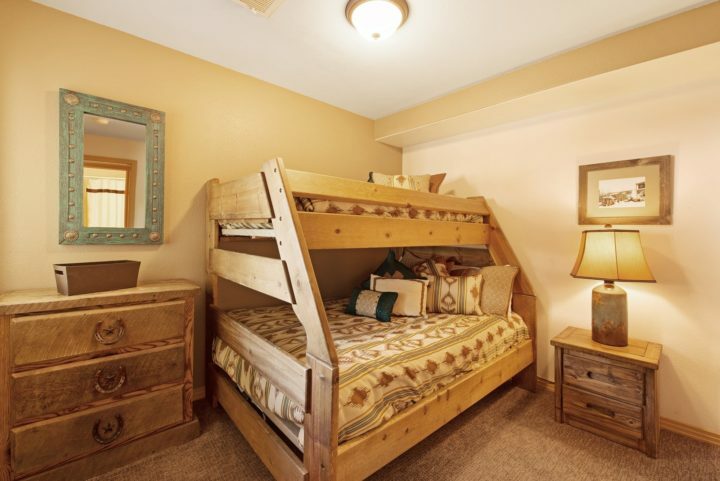 Bedroom 4 (Double + Twin beds). 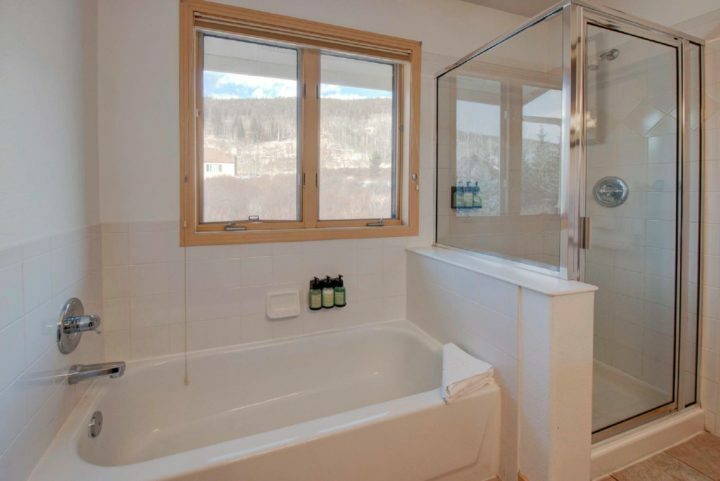 3rd flat screen TV; full bath for Bedroom 4. 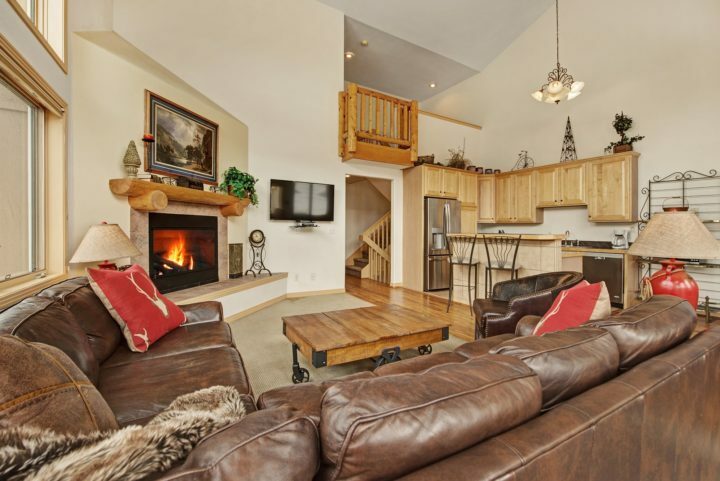 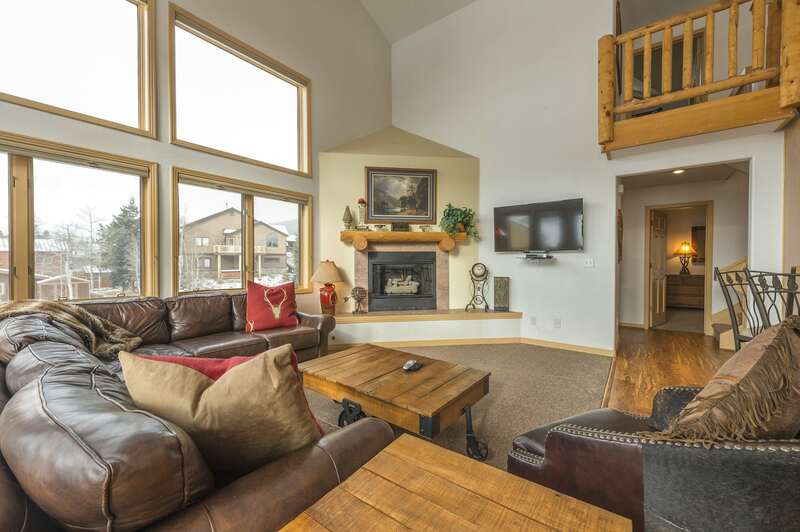 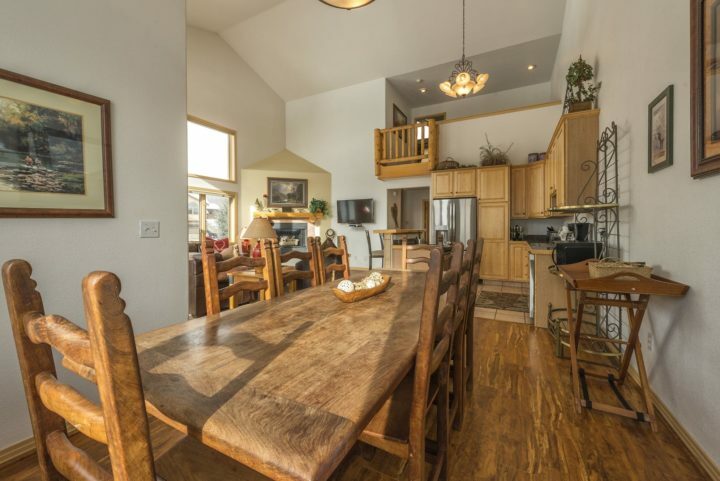 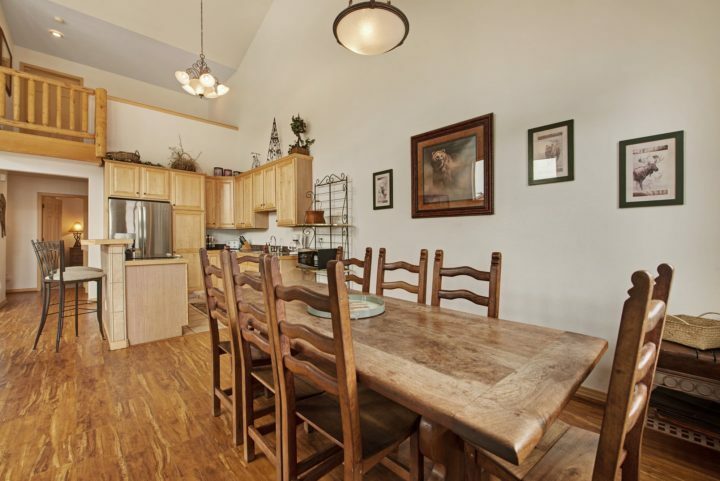 The Retreat Duplex is one of the most private and peaceful keystone ski resort lodging options available at Seymour Lodging. 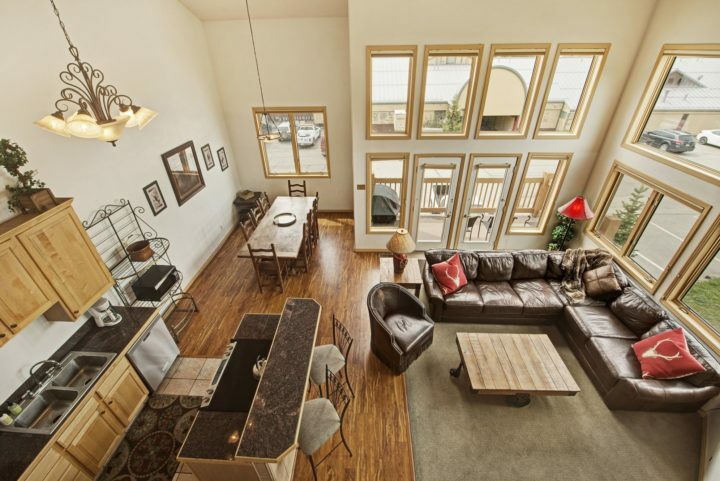 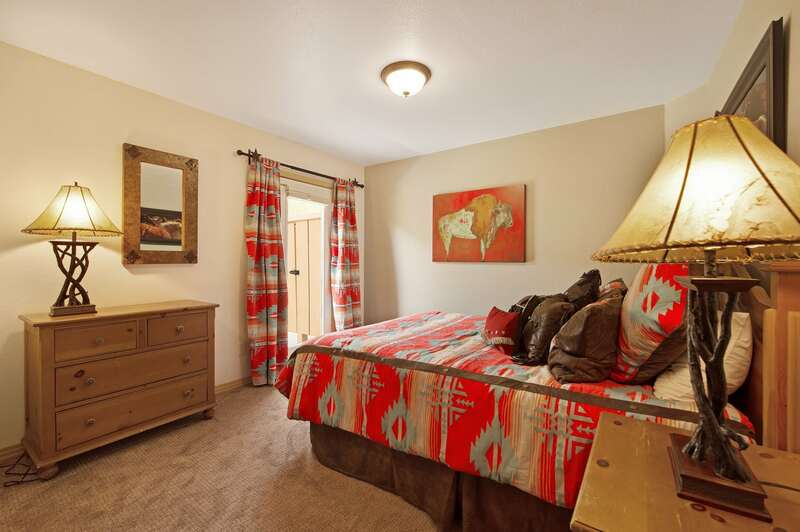 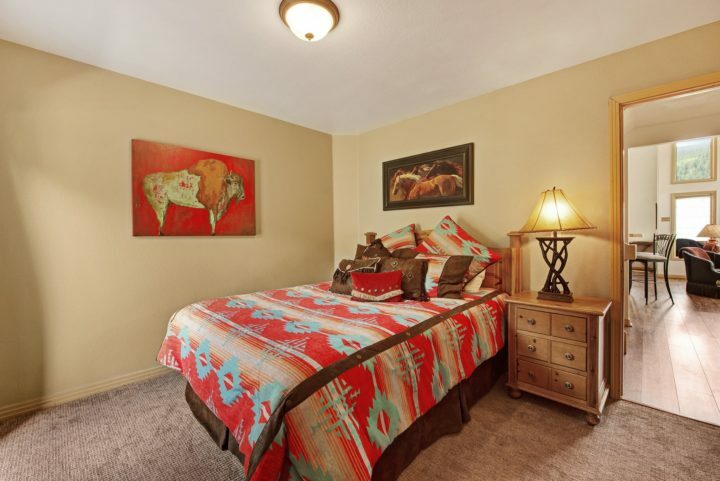 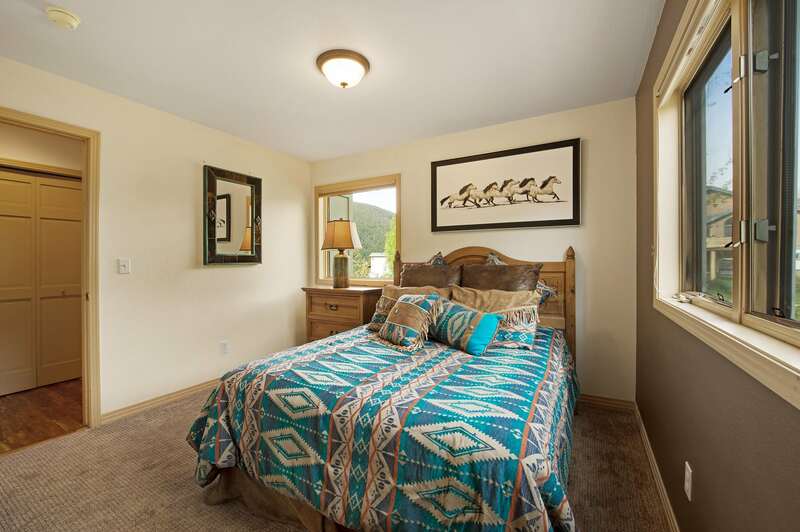 With four bedrooms and three bathrooms this duplex unit comfortably sleeps up to 12 guests and places you a short convenient walk away from seven restaurants, three-night spots, internet/sports café with 12 HDTVs, and Mountain House lifts and activities. 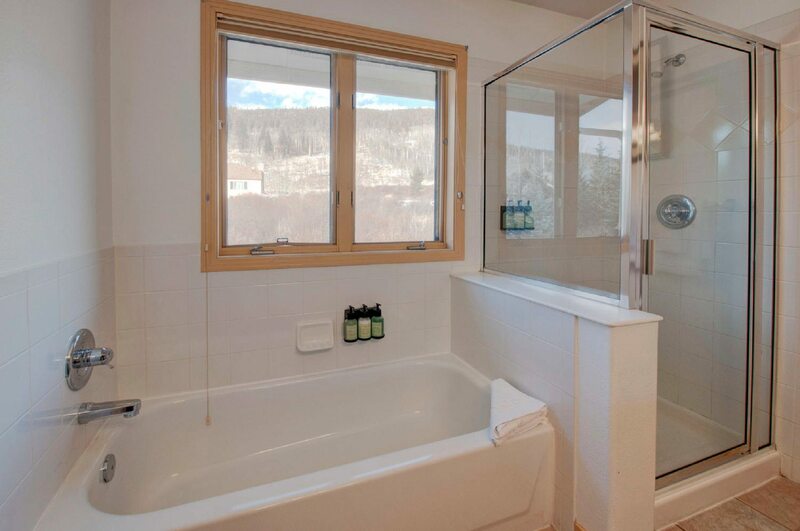 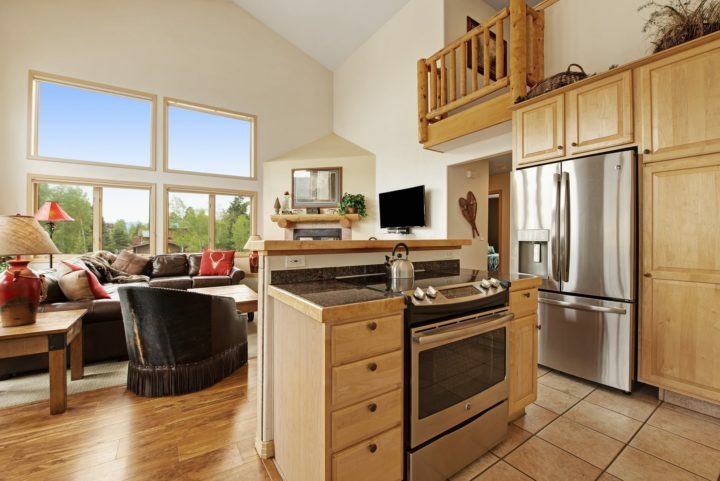 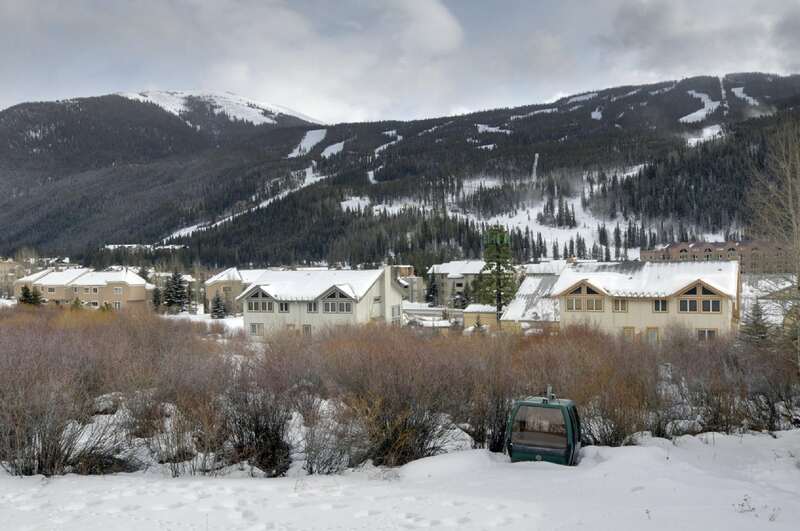 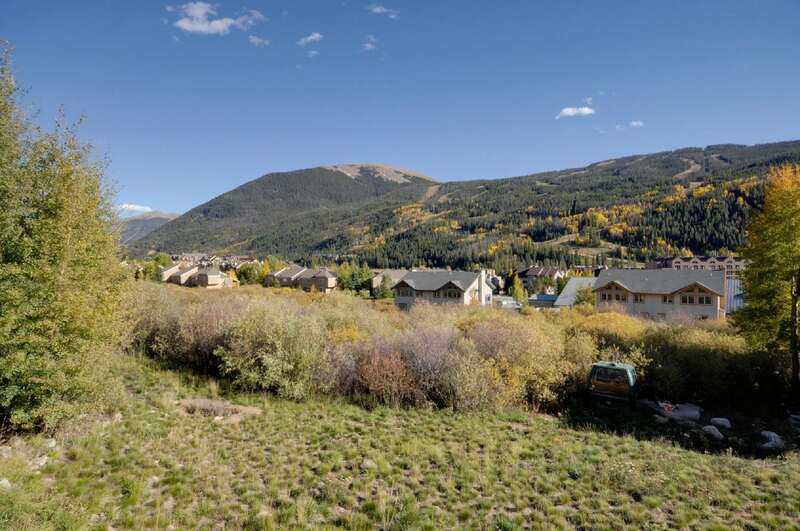 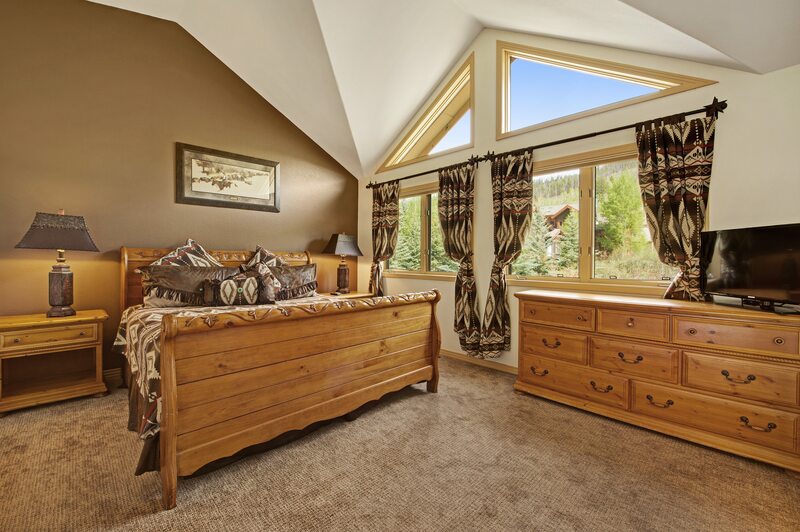 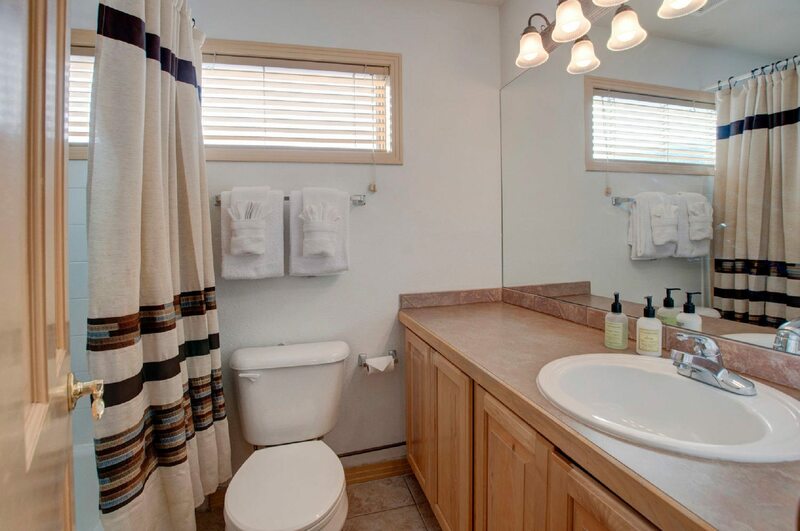 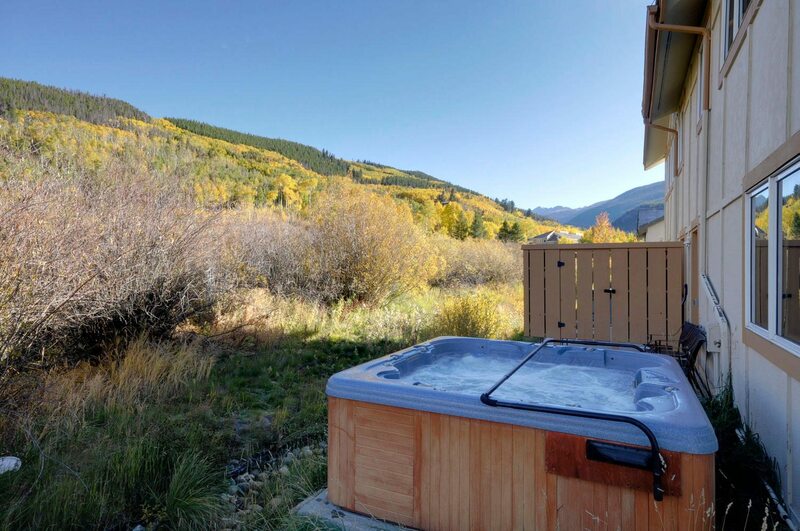 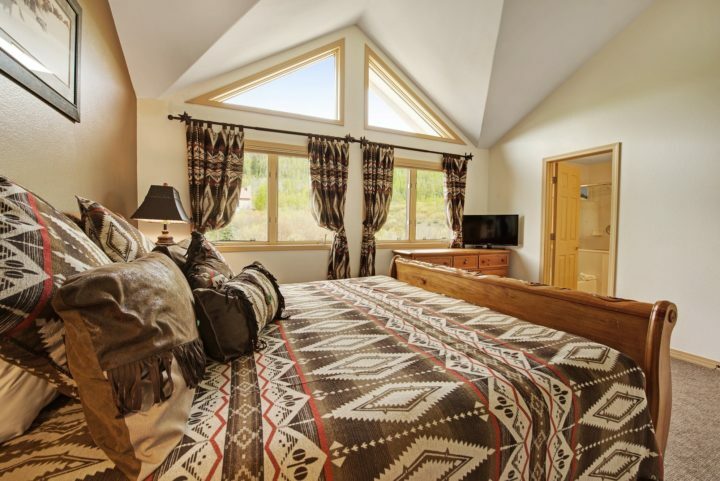 Featuring a private hot tub, two-car private garage, living room with vaulted ceiling and two-story windows framing panoramic views of the Keystone Mountain ski runs (day & night). The Retreat Duplex is an ideal property for those who want more privacy than a condo–only one common wall with the other duplex unit and windows on the other three sides. 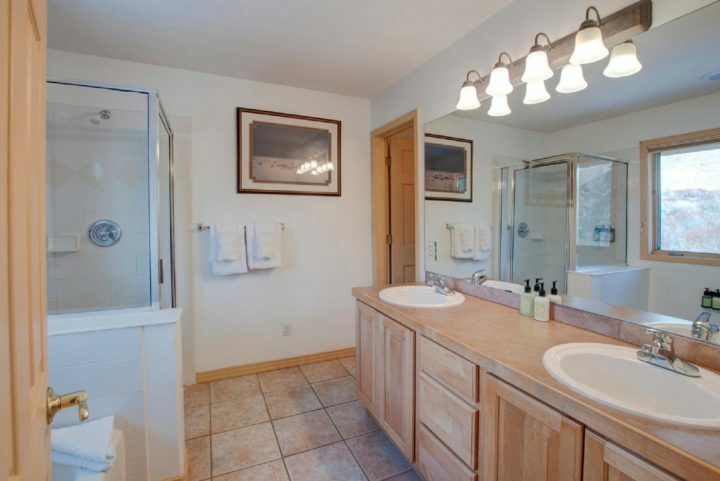 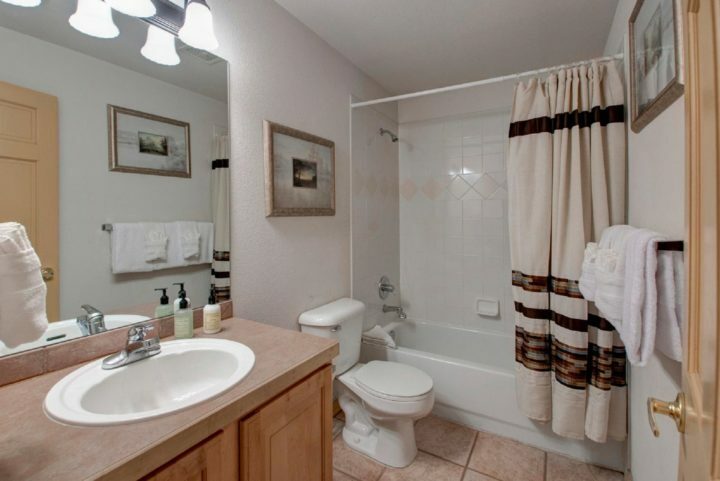 Can be rented with #12B next door for total of 8BR/6 Baths (sleeps 24).